Oh how I love sick days. At least sometimes, especially when the kids aren't terribly sick and we all get to chill at home. Also when I don't have any where to be or any thing to get done. 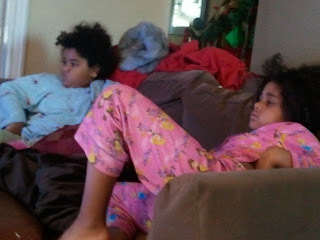 There is nothing better than getting to sleep in, not having to make lunches and just chilling out in our pjs all day. OH ya and watch movies too! 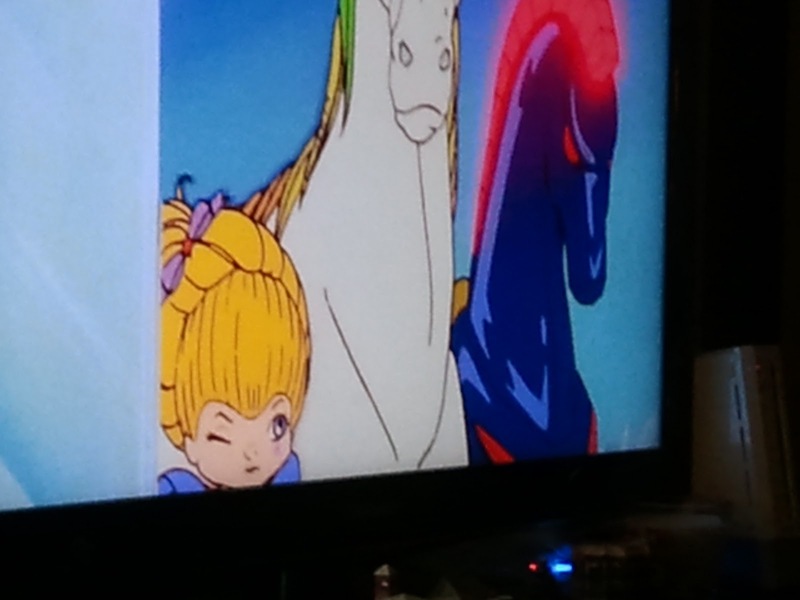 Today we watched Rainbow Brite. Who remembers that show/movie? I love that my kids are watching movies and shows from my childhood. Too cool! I would say that cuddle days are something to add to my Bliss List. Everyone needs sick days ( or mental health days as I like to call them sometimes). These days give me a chance to hang out with my girls, although they are not feeling great, and reconnect with them. It is Blissful to just relax with my little girls. What do you like to do with your kids on sick days? Do you take mental health days with your kids? I love sick days and mental health days but my fave is a good old fashioned SNOW day! A few winters back we had 8 in one winter and yes, I am the cool mom who believes if the buses don't run, neither does my jeep! We definitely lounge in jammies and watch movies, sometimes play a board game but my kids really love 'picnic in the living room.' I get out a big summer blanket and we eat on the floor-finger foods with fancy toothpicks and such. Oh, and sometimes we bake! Oh ya, snow days are fantastic. Nothing better than snuggling on the couch in jammies.